Happy Ground Hog Day! Here's some info for those of you who like Cosmedent's line of products. 8 gram automix syringe. 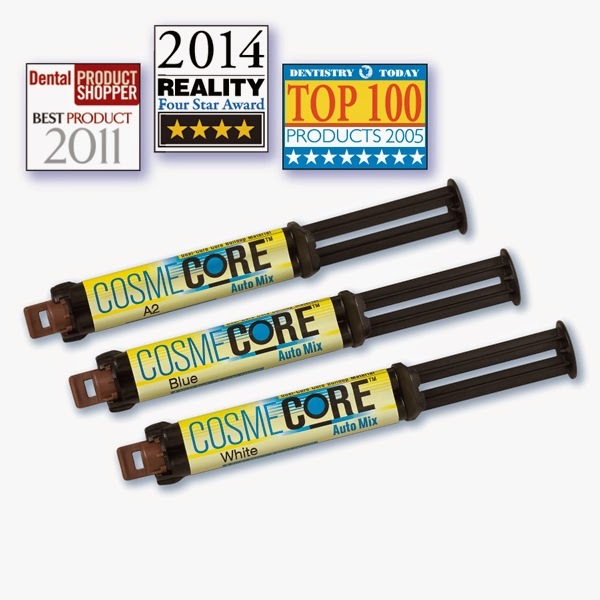 Designed to provide high strength in core build-ups, COSMECORE is the only automix composite material that actually cuts like dentin and will not gouge. Easy to use, COSMECORE eliminates the need for hand mixing, has excellent flowability with no slump and preps exactly like tooth structure. For more information please call a customer care representative at U.S. 800-621-6729 or online at www.cosmedent.com.